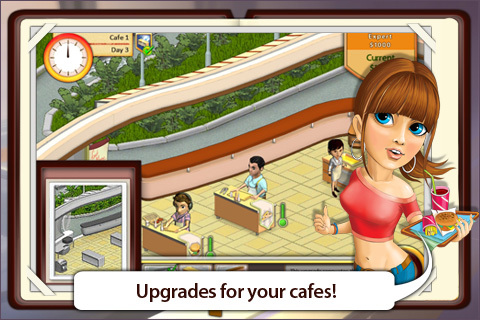 Turn Amelie's Cafe into the hippest hangout in town as you feed the famished masses! Stay on your toes as you take orders, tell your chefs what to cook, deliver food and keep your joint sparkling clean. Hotter than a side of chili fries and sweeter than a strawberry shake, Amelie's Cafe will satisfy your craving for fast-paced fun! 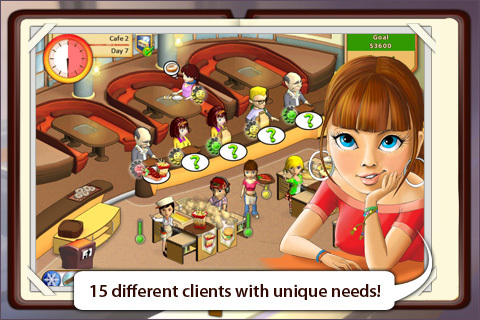 Amelie's Cafe is a multitasker's dream come true! For example, while you're taking orders and delivering food, you must also pay attention to the kinds of customers that are visiting your cafe, as some will get cranky quicker than others if they have to wait. At the same time, you can play a match-three mini-game to earn bonuses that can help you win. 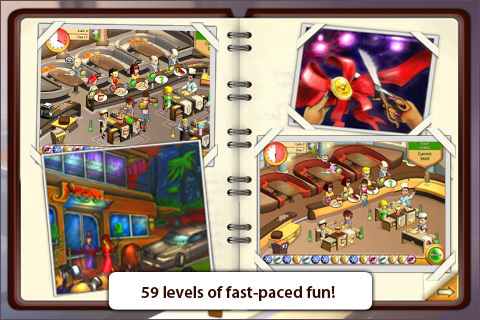 You can breathe easy between levels, though, as you decorate your restaurant and upgrade your cooks. 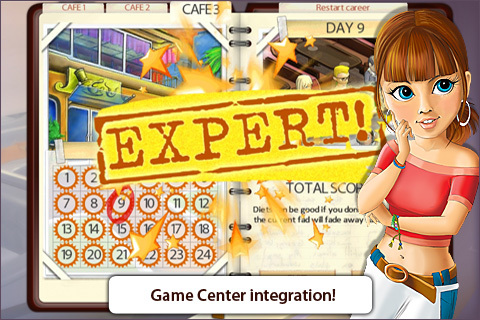 Play Amelie's Cafe and experience time management action at its best!